There’s a lot of musicians that have their names associated with headphones, especially with Monster headphones. 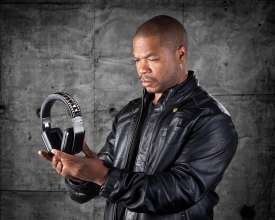 The Monster Tron T1 headphones may not have his name attached to them, but Xzibit is the celebrity that’s spending his time hyping them up. X-to-the-Z is working closely with Monster for all it’s gaming lineup (as part of the Monster Game brand), and the T1 headphones are just the first of that line. 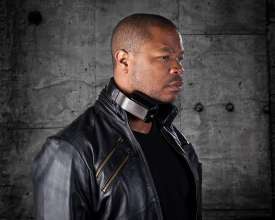 Xzibit claims there’ll be more to come by the end of 2012 including controllers and game-specific HDMI cables. Unfortunately those headphones have been delayed several times over as Monster has had to tweak the design quite a bit over the past year, the aesthetics are about the same, however. Of course, you can also use the T1 headphones for listening to music. They actually ship as standard headphones, and turn into gaming headphones with the additional Game Box mixer. The sound, from the few times I’ve listened to the headphones since they were announced, it pretty great even for music, plus they looks cool when they light up. 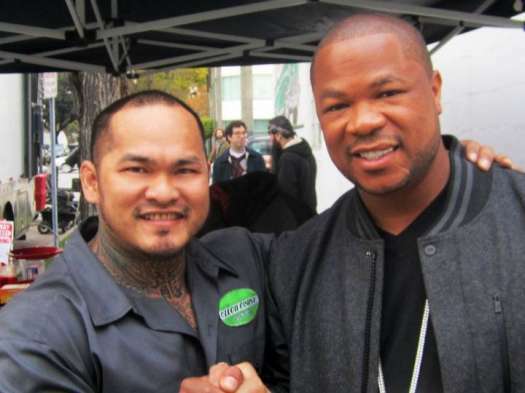 Xzibit has featured at this years International Consumer Electronics Show (CES) – a major technology-related trade show held each January in the Las Vegas Convention Center, Las Vegas, Nevada, United States. On Tuesday at the Monster booth, Xzibit was on hand to take photos with fans, as well as tell them all about the company's T1 gaming headset. The product was originally announced last year, but had its release date pushed back when Monster decided to make some "renovations" on them. The T1 has 40mm drivers, as well as stylish noise-cancelling ear cups that light up Tron style. It is set for a global releases, and has a price tag of $350.